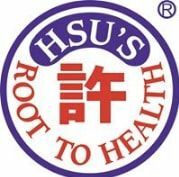 Hsu’s Ginseng is a manufacturer, wholesaler, distributor and retailer of American Ginseng and various other products. We have been in this business since 1974 and today we are a world leader in American Ginseng. Our online store features all of our products including American Ginseng & Ginseng related products, Supplements, Skin Care products, Seafood and Herbs, Appliances, Food and Beverages. Hsu Ginseng Farms uses state of the art cultivation techniques to grow high quality American Ginseng that is of high medicinal value. Our cultivation staff comprises of highly qualified cultivators and more than 100 seasonal workers. Hsu’s Ginseng takes care of all the processes involved in delivering the ginseng to the end-consumer, right from planting to harvesting, packaging to distribution. Our ginseng products include Hsu’s Heirloom, Cultivated, Wild, Woodsgrown, American Red, Korean Red and Asian ginseng. Our cosmetics include facial care, body care, eye care, foot care, hair care, beauty kits and related beauty products. Seafood and Herbs include White Bird Nest, Gold Bird Nest, Bottled Bird Nest, Chinese Herbs, Elk Horn, Snow Oil, Seaweed, Sea Cucumber, Dried Alligator, Fish Maw and more. Food and Beverage products include American Ginseng tea and candy, Chicken Essence, Cereals & Meals, Skin & Body Helper, Tea, Coffee, Powdered Drinks & Mixes and more. For details, visit https://www.hsuginseng.com/ and https://www.hsuginseng.com/us/c_US100?PageName=Ginseng.